This RL118 FM radio is designed with simple yet convenient features that set it apart from the crowd. It has telescopic aerial for transmitting better audio frequencies, thus delivering distortion-free sound quality. The FM frequency ranges from 88 kHz to 108 kHz whereas the AM frequency ranges from 520 kHz to 1605 kHz. The radio works on both power cord and batteries. You could use the power cord when you have access to electricity and the radio can work on 2 R6 batteries when you are travelling or during power cuts. The FM radio is user-friendly with fewer buttons like on/off switch, volume control, tuning and band selection, and battery selector switch. 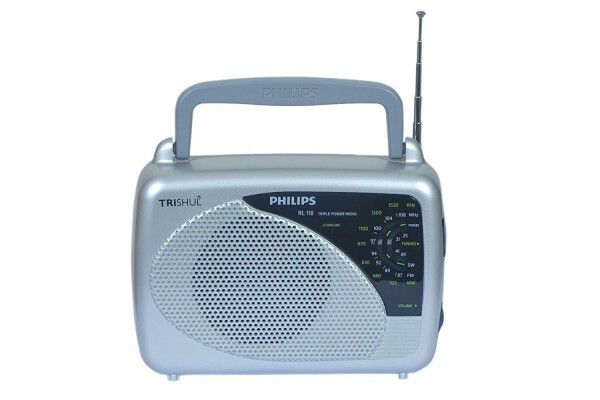 It is a table-top manual radio which can be placed on any plane surface as per your convenience.